A blog dedicated to both ATP and WTA! 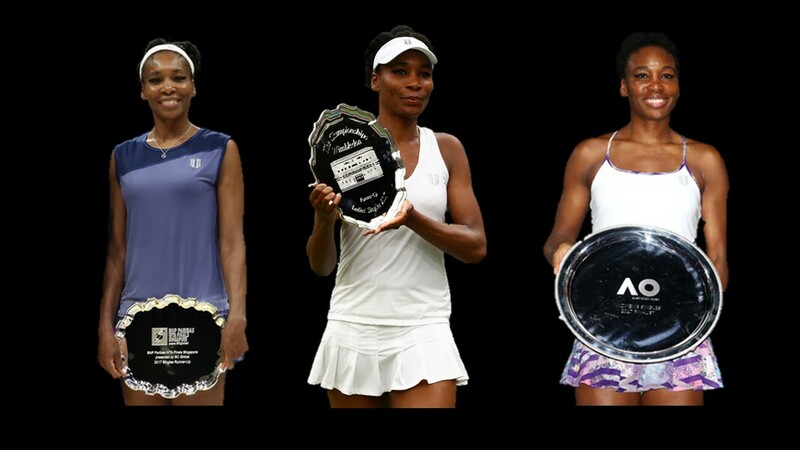 It has been an incredible year for the 37 year-old Venus Williams, who has reached two Grand Slam finals and the final of the WTA Finals as well! Take a look at my Season Review for the legendary American here at VAVEL USA. Take a look at my match recap of Kuznetsova's amazing win against the talented Marketa Vondrousova! This is a list of my daily predictions at the Citi Open held in Washington, with many quality players participating! World number two Simona Halep (Roland Garros finalist, was thrice a win away from No.1), Kristina Mladenovic and Ekaterina Makarova headlines the draw. Olympic Gold Medalist Monica Puig is unseeded in the draw. Hello guys! You can find my daily predictions of the Bank of the West Classic here! Notable players participating are Garbine Muguruza (2017 Wimbledon ), Maria Sharapova (5-time Grand Slam champion, Former No.1), Petra Kvitova (2-time Wimbledon Champion), Madison Keys (Former Top 10 player)! Hello guys! Do take a look at my articles for VAVEL USA during the Wimbledon Championships, and do follow that page too! Please give us a follow if you like this blog! Thanks for visiting this blog! Please do visit again! @tennisaddictdon. Watermark theme. Powered by Blogger.